Social Housing Maintenance contracts in Northern Ireland by Hetherington Contracts Ltd.
Hetherington's is a family run business with a proud history in Northern Ireland building and construction. We specialise in ECM planned maintenance, social housing maintenance and large scale painting contracts. "Over 30 years of successful projects"
Hetherington Painting & Building Contractors specialise in maintenance for Social Housing which include, Roofs, Windows, Kitchens, Doors, Groundworks, and Landscaping. Based in Donaghmore since 1985, we currently employ 40 employees. All of which are highly trained in their individual fields. We adhere to strict health and safety regulations and all our employees are required to attend regular health and safety courses. 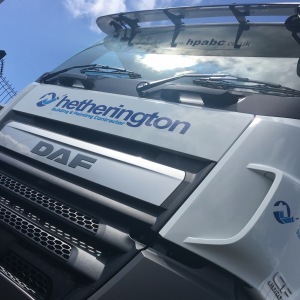 Hetherington Contracts are a Considerate Constructors Company.